The old and unique stoen fences look like this. Since battles, wars, and many other types of combat were fought using them they have now started to decay a bit. Stone fences started out mostly in Scotland and England. They were later used in America during wars. During the Civil War, stone fences were built around forts, houses, and for cover on the battlefield. Stone fences provided a strong support for the soldiers and protection for forts. If you have ever gone to Kentucky, you can notice there are lots of stone fences there. Kentucky was a border state for the Union and Confederate, so there were a lot of battles fought there. The soldiers in Kentucky needed some type of support, so they built stone fences and took cover behind them while fighting. 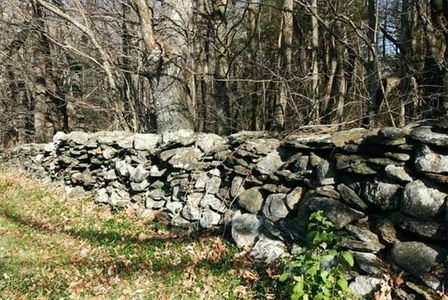 New England states also have stone fences, but they weren't used for wars. 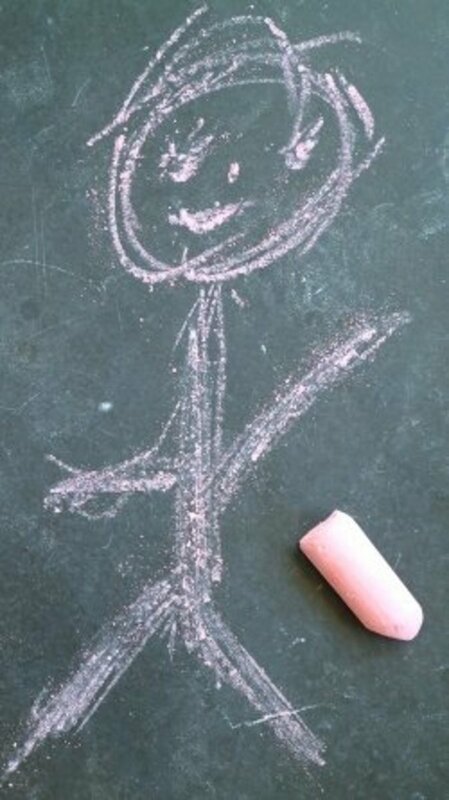 Instead, they were used for boundary lines, ponds or just for fun. Before the stone fences, they used wood fences, but wooden fences would rot fast and were weak. Wooden fences were mostly used for houses and in yards, but later, people started using stone fences for better quality. Stone fences were the easiest type of fence to build, and they still are. You can make a stone fence with rocks, dirt, and some other material that can be easily found. Stone fences were common in Italy because there were so many resources for a stone fence. The best place to build a stone fence is in a rocky area since it will be easy to get materials. If you don't have any resources, then it can be hard to find enough quantity of material for your stone fence. The best way to make stone fences today is to use cement and bricks from the store (if you want to use stones you can, but it can be really hard to find a lot of them, depending on where you live). Then take the cement and mix it up in a big bowl or bucket. Put the bricks where you want to build the fence. 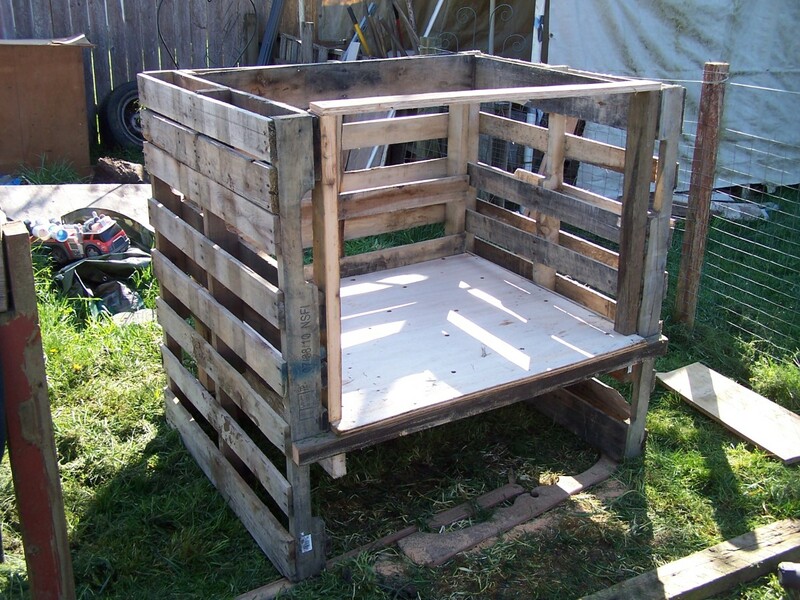 Stack a layer of bricks on the bottom and add the cement to the top. Then, stack another layer of bricks on the cement. Continue this until you think the fence is high enough. 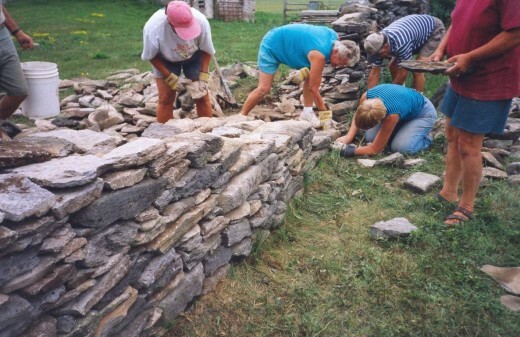 Here a construction of a stone fence has begun. Soon these people working will have created a great looking, and wonderful stone fence. Today, not as many stone fences are used. Most people prefer wooden fences. 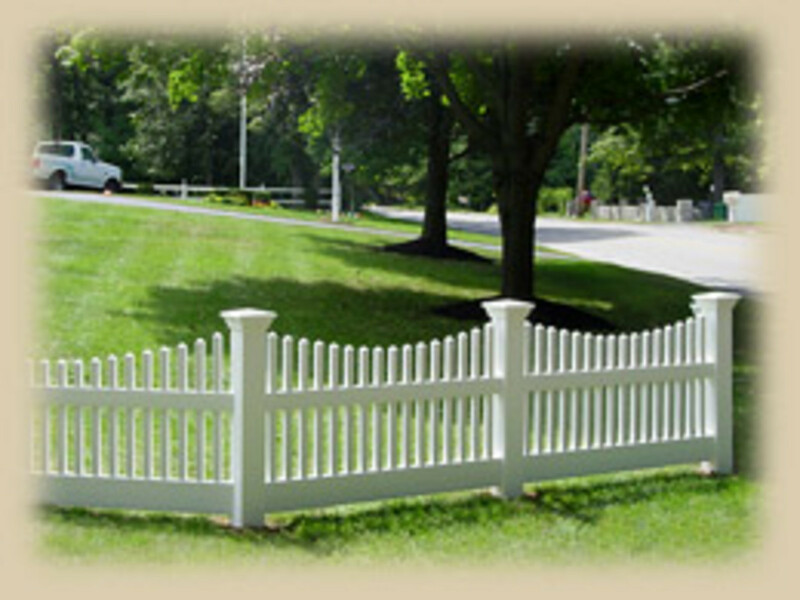 Nobody wants a huge stone fence in their backyard, and wooden fences are better if you want something that looks good. The fences from wars and old times are still there and now called antique landmarks. Still, even today, some people use small stone fences for their gardens or for other landscaping. Stone fences are great and strong, but in these days you would be better of with a wooden fence if you want something that looks normal.